Artificial intelligence will enable vehicles to manage, make sense of, and respond quickly to real-world data inputs from hundreds of different sensors, but ii it going to take some time?. The technical challenges to autonomous vehicles, like those facing high-performance wireless networks and low-latency cloud infrastructure, are solvable over time by advancing the state-of-the-art in well-understood design practices and techniques. 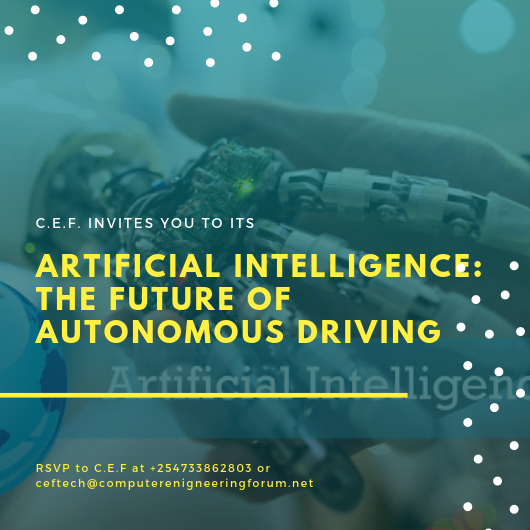 However, based on the foreseen complexity of an autonomous vehicle, AI systems are more than a promising element to address a huge set of data, scenarios, and real-world decisions a human brain—consciously or subconsciously—today processes within a short period. And to make all of those decisions with high precision while operating a vehicle. The focus now is to properly identify, manage, and control the actual input parameters coming from various sensors that are required to develop a usable representation of the real-world operating environment and status of the vehicle. These sensors include cameras, radar, LiDAR, ultrasound, and other sources, such as accelerometers and gyroscopes. Many are already widely used in advanced driver assistance systems (ADAS). However, a key challenge here is to define and develop models to find correlations between available physical signals, existing or to-be-developed AI scenarios, deep-learning models, and the real-world decision impact in a real traffic situation. Until recently, concepts for autonomous vehicles have been built on multiple technology building blocks—including the aforementioned sensors, along with ultrasound, GPS, and wireless technologies. The first and foremost challenge is to clearly understand the actual capabilities and boundaries of each technology, as well as the contributions to the overall autonomous driving system.